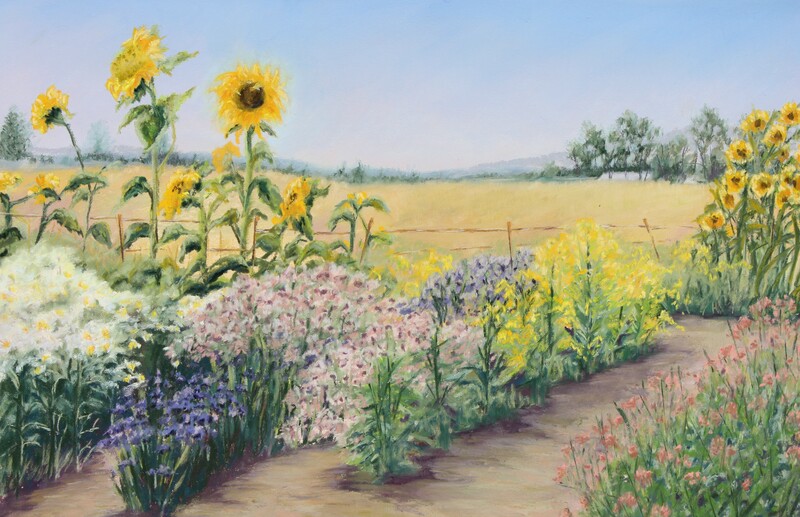 Sunflowers are featured in my latest painting, “Sunday’s Bouquet” which is a garden scene behind Asbury Church in Livermore. In many traditions the sunflower symbolizes faith, life giving force, longevity, happiness, and loyalty. Sunflowers seem to bask in the warm glow of the sun and even grow towards the sun’s path. The color yellow is symbolic of happiness and in the Chinese tradition the flower represents life and good luck. 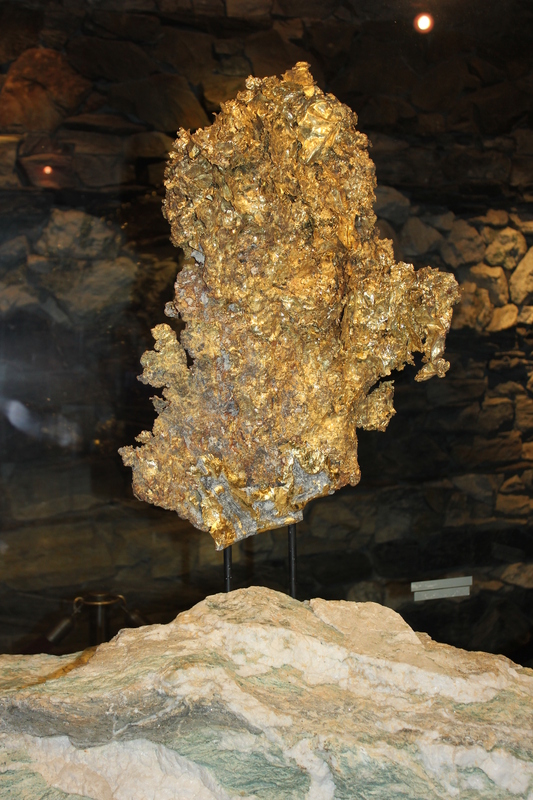 In Christianity it symbolizes unwavering faith. The reference photo needed some additional color and I emphasized the sunflowers and used some artistic license to rearrange some of the colors of the flowers to add interest. The August issue of Southwest Art Magazine is on the newstands. 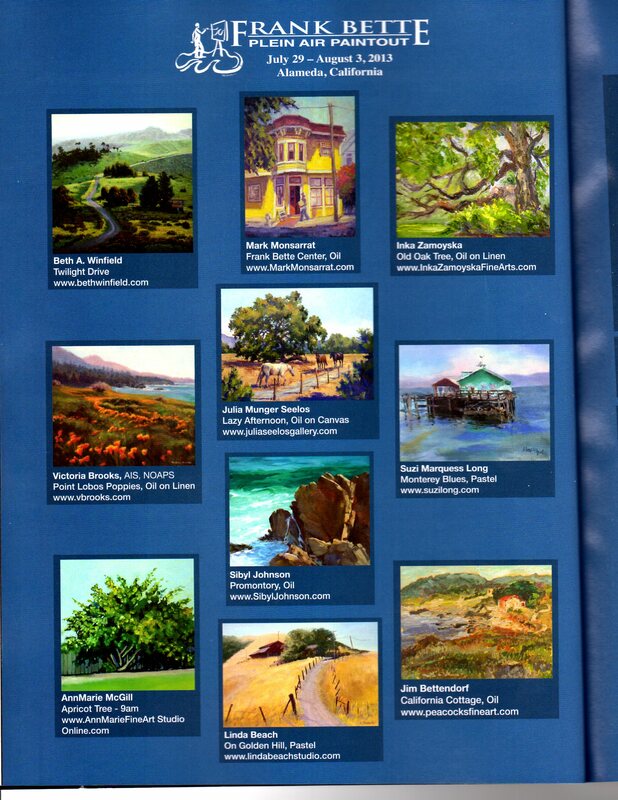 On pages 16 & 17 there is an ad for the upcoming Frank Bette Plein Air Paint Out which features 40 artists who are invited to paint outdoors in Alameda, CA. 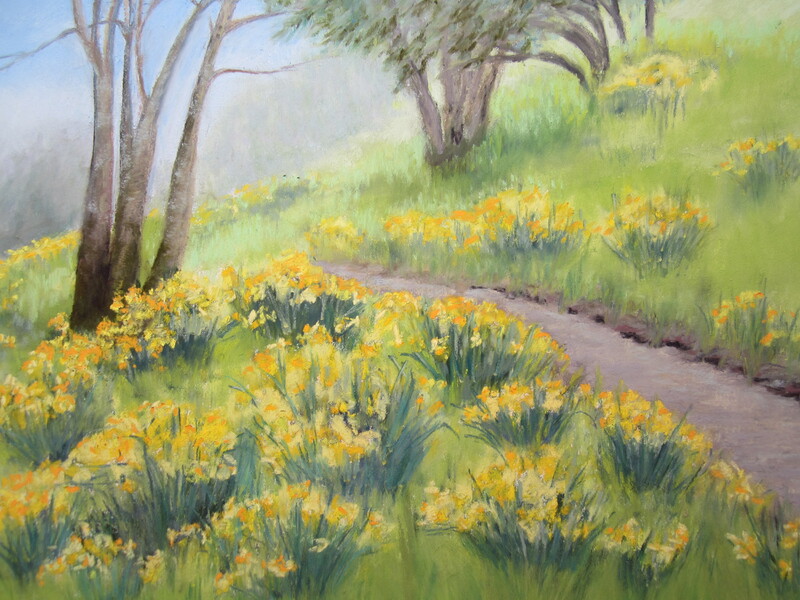 My pastel painting, “On Golden Hill” is included along with my website. I am excited to be in this beautiful art journal that has a national audience. 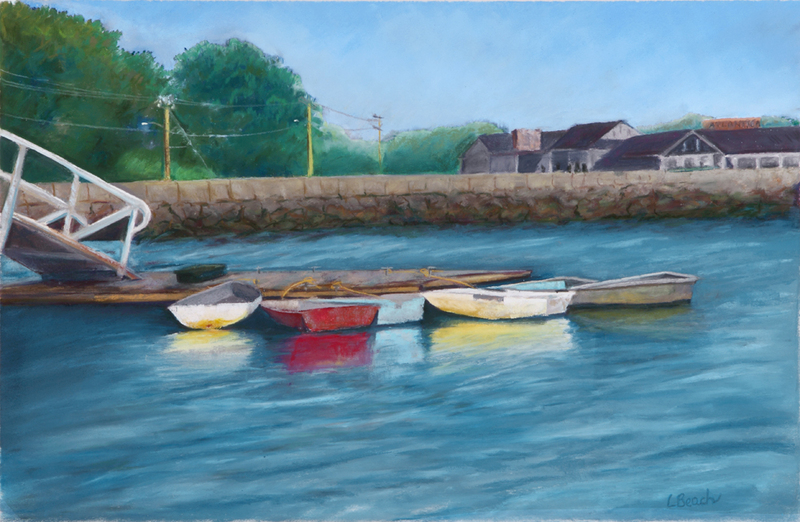 The Paint Out is next week beginning on July 29th when we get our substrates (paper, board, or canvas) stamped and paint on location on the island of Alameda in preparation for the Exhibit and Sale on Sat., Aug. 3 from 10 to 5 at the South Shore Shopping Center at Otis and Park Street. It is a challenge to produce 3 paintings worthy of exhibition by Saturday. We will be hitting the tree-lined streets, historic Victorian architecture, lagoons, Estuary, and beaches with views of the San Francisco Bay in search of the perfect scene that inspires and may capture the heart of a collector. And on the subject of collectors… My painting, “On Golden Hill” of the Eckersly barn outside of Crockett, CA painted during the Valona Paint Out has been sold to a painting friend and collector in Livermore. As much as I get attached to painting, it is always rewarding to have others support my work. 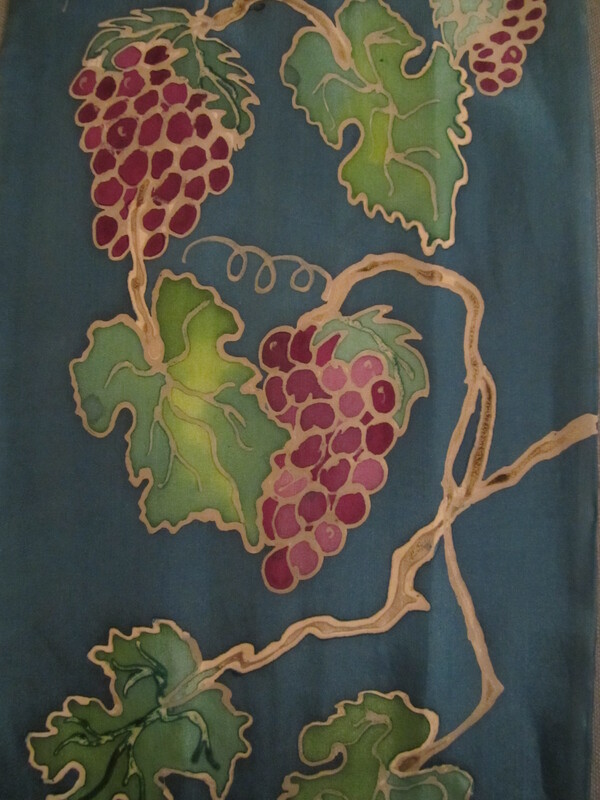 My demo of Silk Painting for the Concord Art Association in Concord, CA is coming in May. 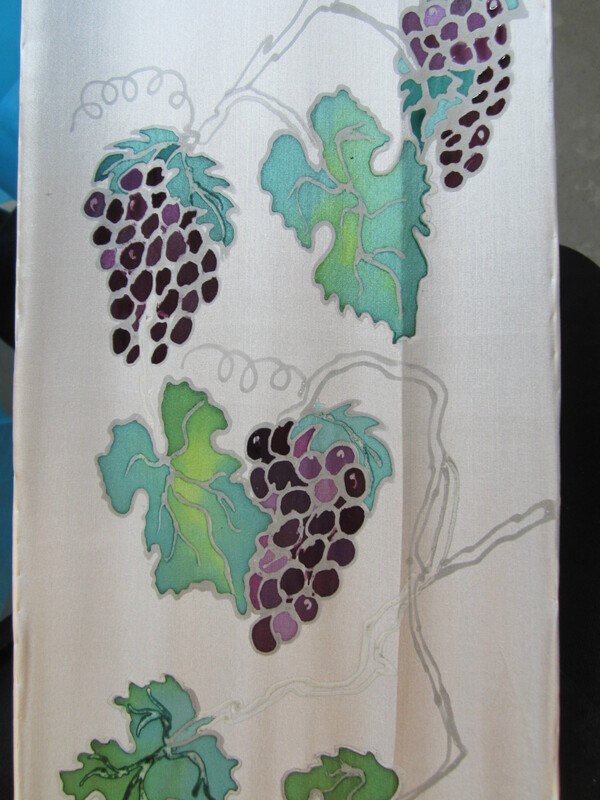 So, today I got back to painting on a silk scarf. I use a blank habotai silk scarf that has a hand rolled hem from Jacquard. I use the green label silk colors from Jacquard Products. First I take a clean scarf and stretch it on wooden stretcher bars using push pins. Then after planning out the design I outline the image with gutta resist which I apply using a plastic applicator bottle with a metal tip. 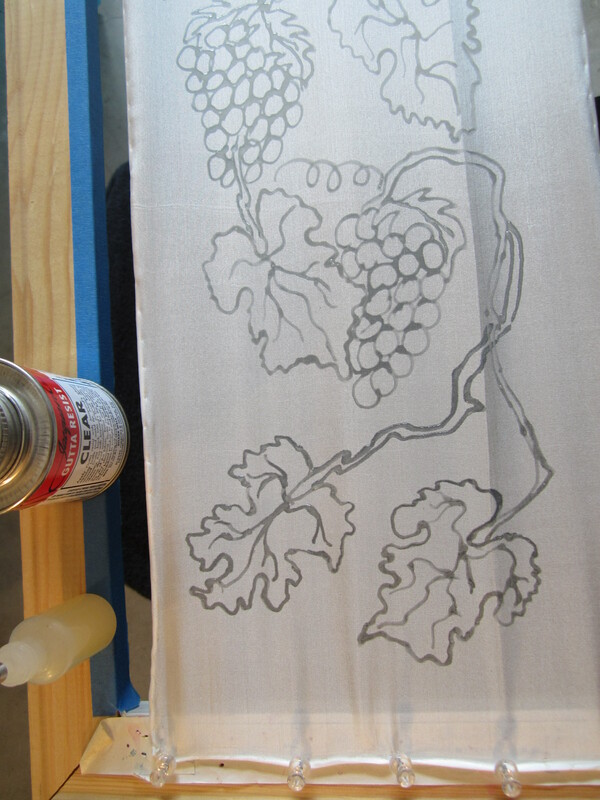 The scarf with the gutta drawing is set aside to dry for about 30 minutes or more. After planning the color palette I begin painting in the outlines with a Chinese watercolor brush. Colors of the Green Label Jacquard dye are mixed or diluted as needed. It is important to carefully paint with the lines while the stretched scarf is suspended. It works well to do this between the backs of two chairs. Otherwise a wet area can easily smudge. Mix up enough color to paint the background color. I often mark of sections of the background to design to simplify this process as shown in the image above and add color to the vines. After the scarf is set aside and is completely dry, it can be put in dye set. 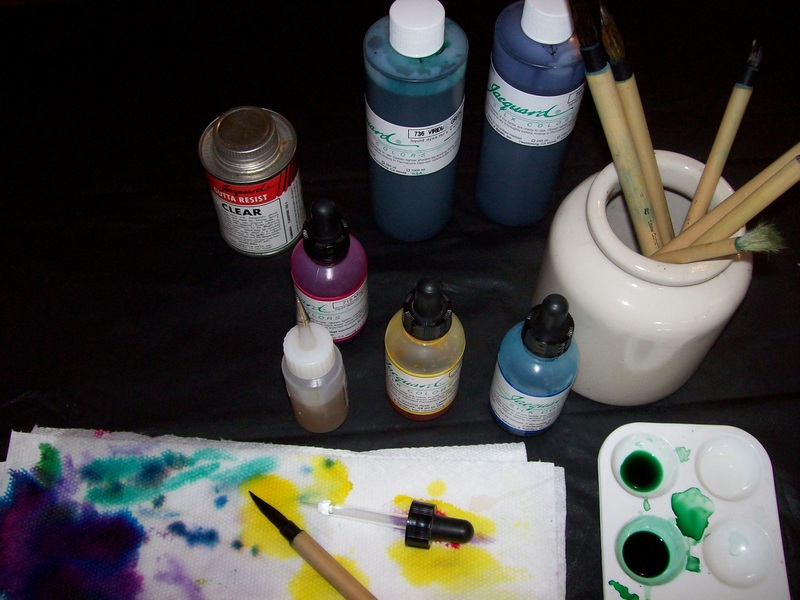 The ratio of dye set to water is included in the instructions on the Jacquard Dye Set bottle. Rinse with water and a mild soap. Hang to dry. To remove the gutta I bring the scarf to the cleaners and then they are pressed by hand. There are several steps in this process, but I find it to be satisfying to do and I enjoy watching the silk soak up the color of the dye. There is something very calming to watch the process. 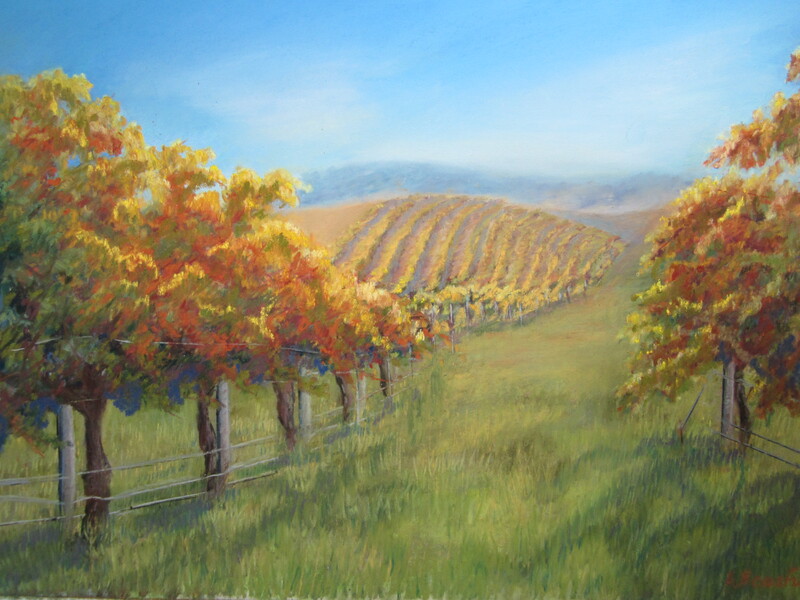 The Blackhawk Gallery of Danville, CA show Vision 2013 is exhibiting four of my pastel paintings. 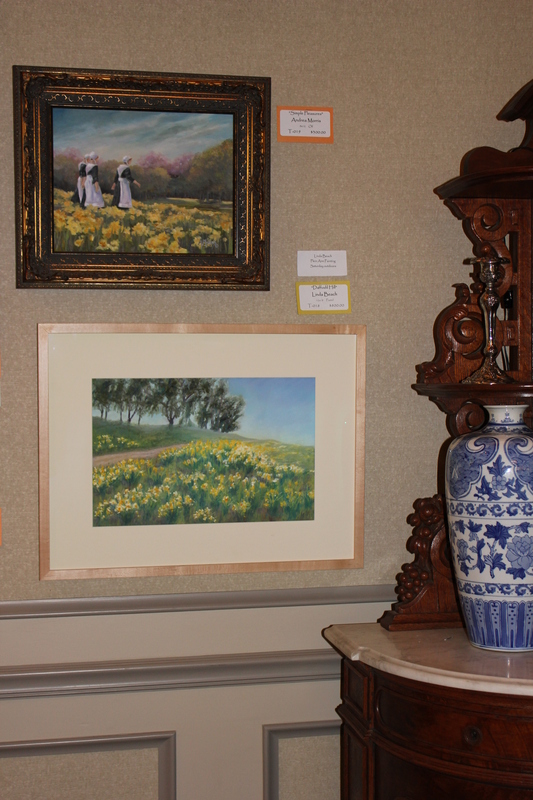 “Say It With Flowers” is one of the paintings on display Feb.1 – April 14. 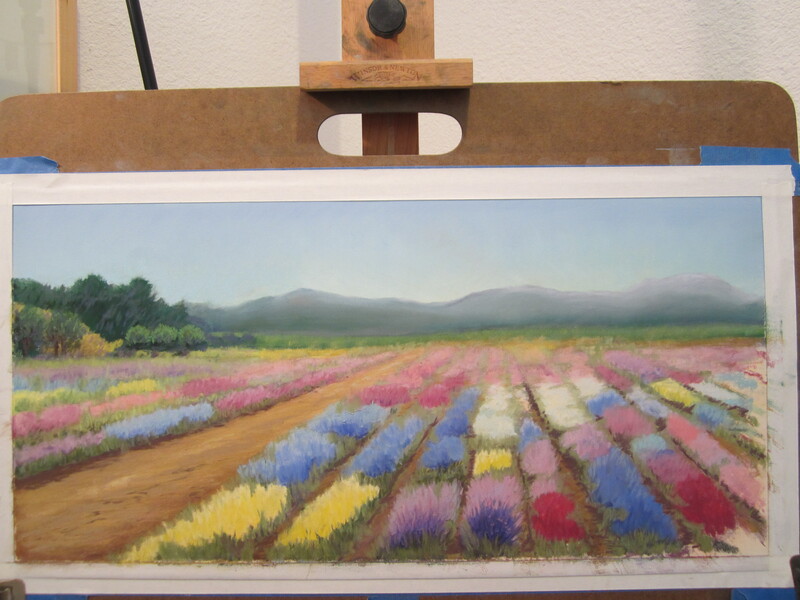 It is a studio painting based on a photo reference from Salinas, CA where a patchwork of flowers caught my attention. 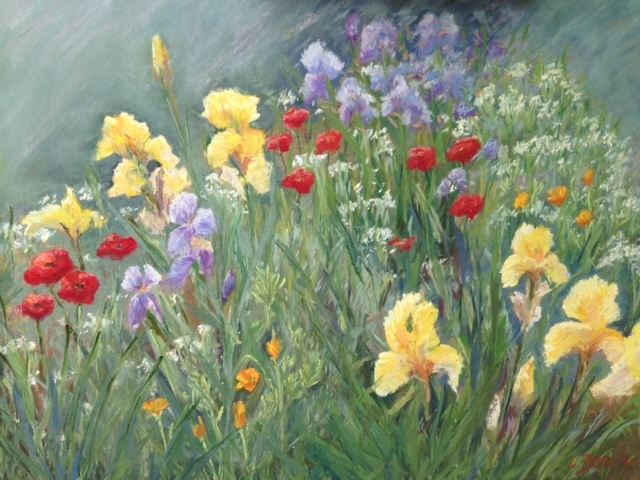 The perspective of the flower field leads the viewer down the planted rows to the distant hills. After blocking in the sky and background, I drew guidelines for the flowers. Some artistic license was used when I rearranged some of the masses of color. Also, I felt that the rooftops of suburban houses against the hills in the photo could be eliminated since they weren’t necessary elements in the painting. 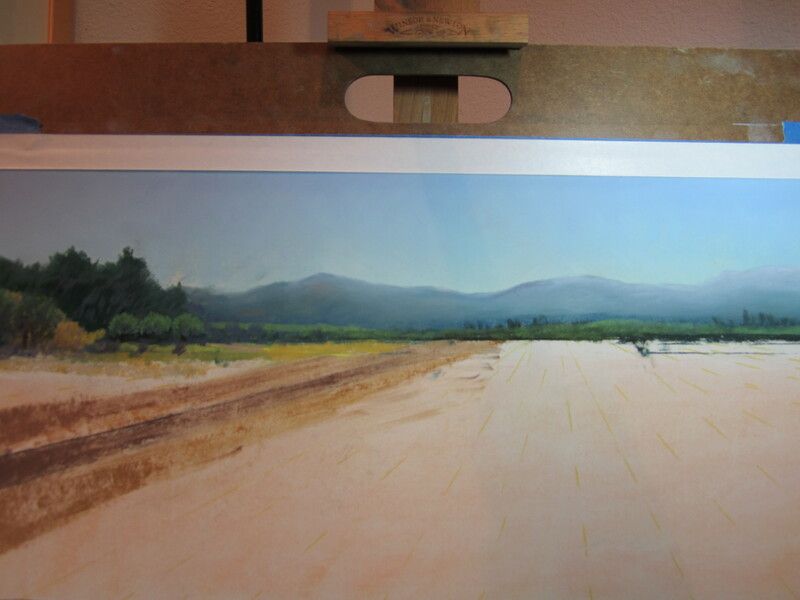 The pastel is 12×24 on Wallis sanded board. I first applied an underpainting of peach dry pastel to give it a warm cast. 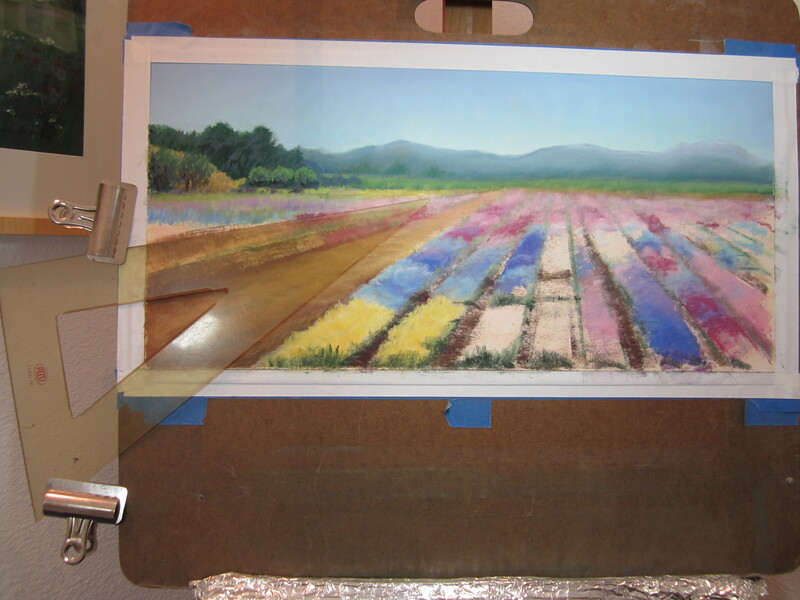 Pictured here are some of the stages of the painting, “Say It With Flowers” before it was framed. 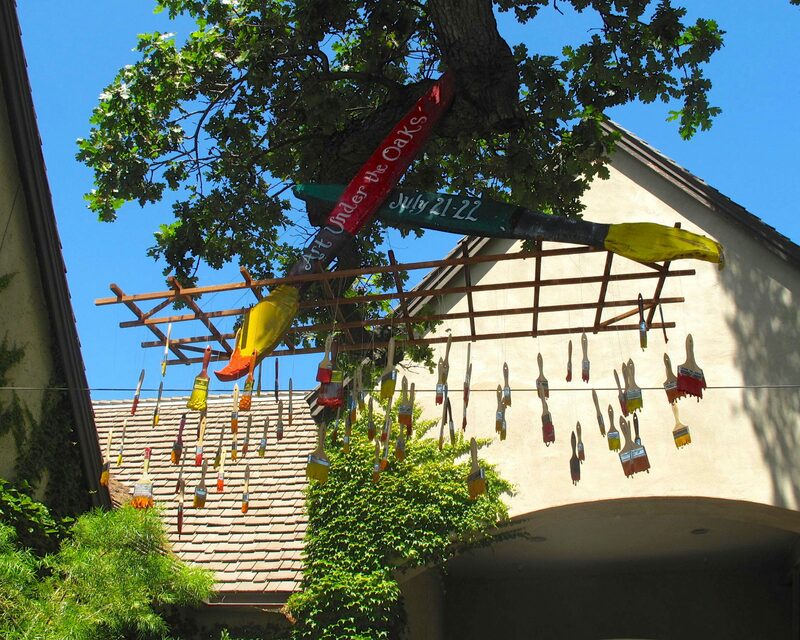 Blackhawk Gallery is located at 3416 Blackhawk Plaza, Danville, CA and is open Mon – Sat 10-8 and Sun 11-6. 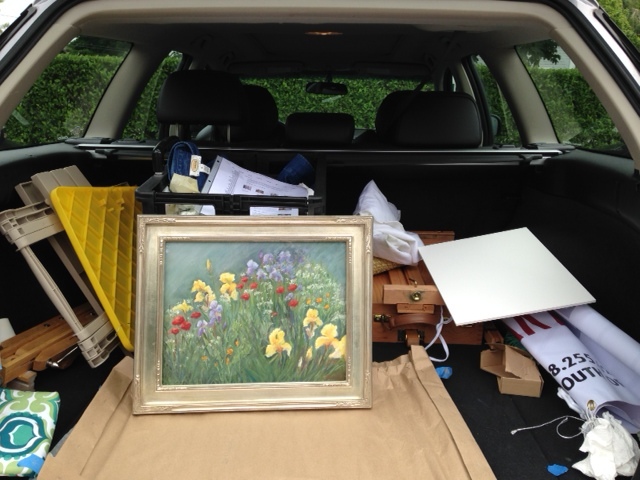 Art Under the Oaks is Coming! 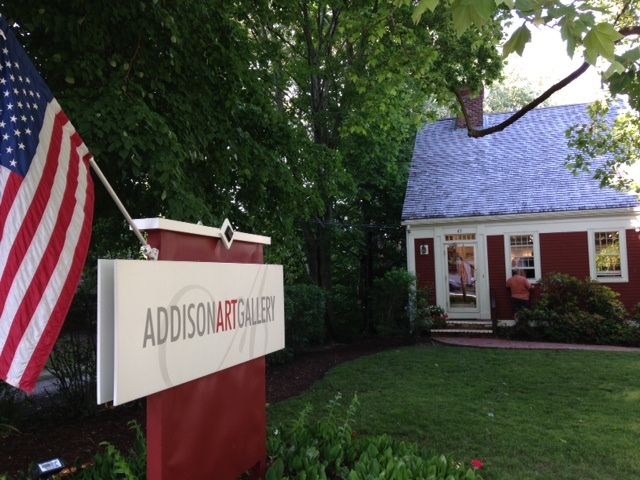 Art Under the Oaks is coming to Alden Lane Nursery on July 21 & 22, 2012. 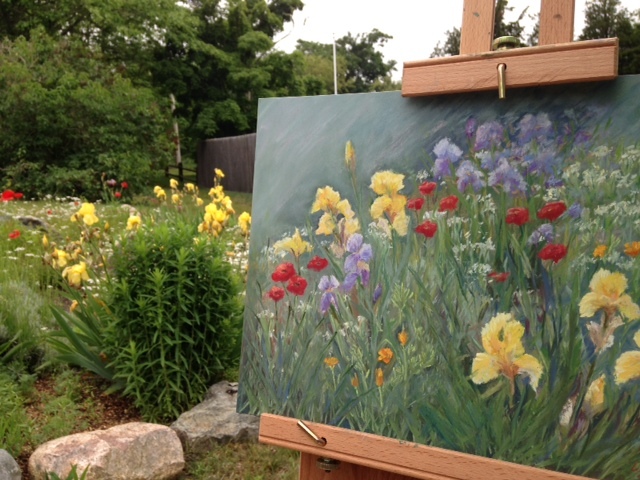 I will be one of the juried artists showing my work surrounded by the colorful gardens and large oak trees. 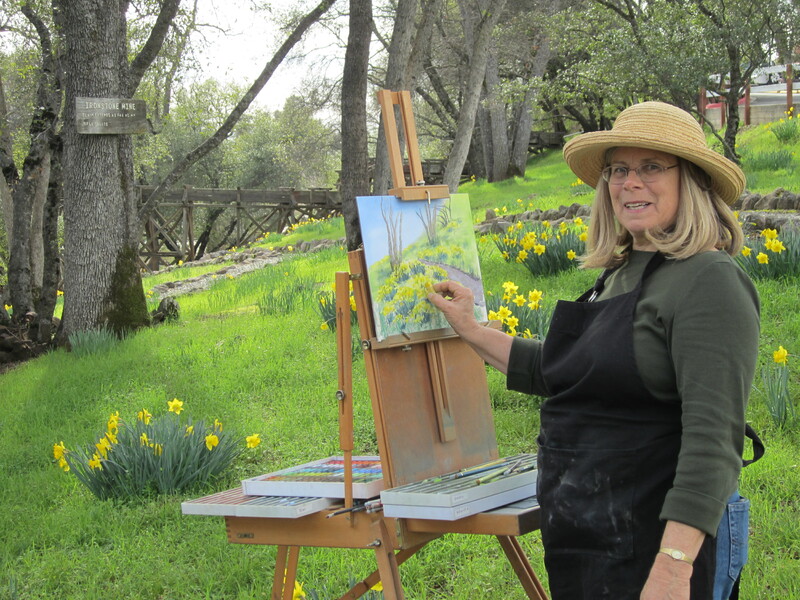 There will be art, music, wine and fruit tastings each day from 11 to 4. 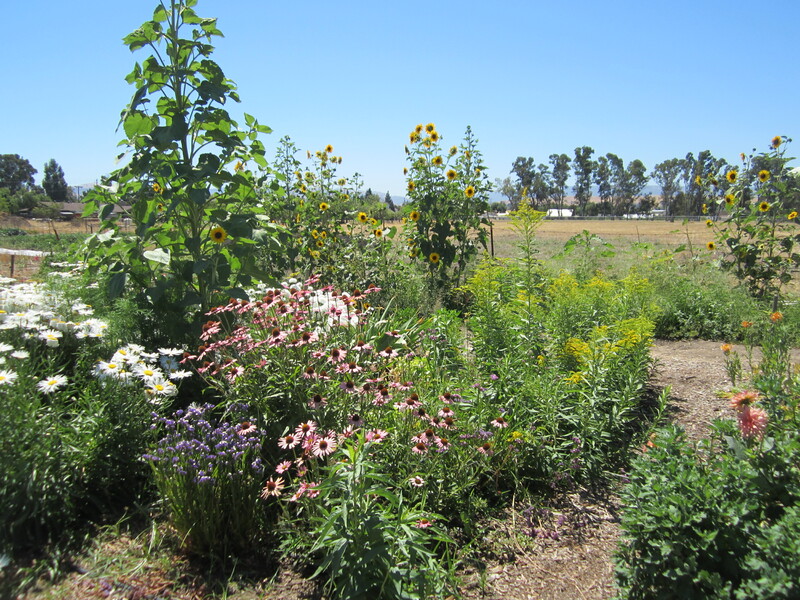 Alden Lane Nursery is located at 981 Alden Lane, Livermore, CA. Artists are getting their brushes, paints, pastel sticks, etc. for those in the area to enjoy. (Thanks to my artist friend Kathi Shapiro for the photo).